The Oasis of Marr is a large desert area that lies in the middle of the Desert of Ro. The oasis itself is inhabited by crocodiles of all types, and the island in the middle has a temple that is surrounded by specters. The zone is one of the most dangerous in this part of the world. This is a very dangerous zone, mostly because almost every creature in the zone is both powerful and aggressive. The pumas are the least of your concerns, the wandering madmen, mummies, and sand giants are much more dangerous. Add to that the fact that many lower level characters travel through here en route from Freeport or Neriak to the swamps to the south. There are several monsters you can hunt in this zone to earn EverQuest Platinum. Starting from; Pumas, Sand Scarabs, Dune Tarantulas, Desert Madmen, Lesser Mummies, Shriveled Mummies, Crypt Mummies, Ghouls, Dry Bone Skeletons, Crocodiles, Caimans, Deepwater Caimans, Deepwater Crocodiles, Orc Warriors, Orc Priests, Deepwater Goblins, Sand Giants, Spectres. This area is good hunting for people who are looking to fight creatures of the levels described above. 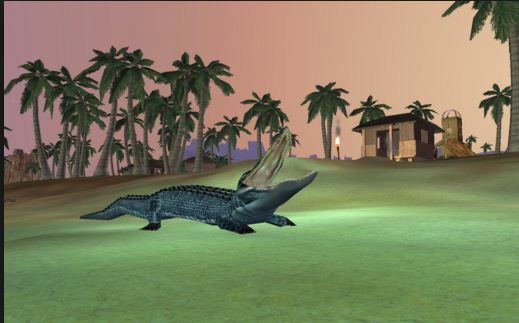 The crocodiles and caimans along the eastern edge provide good hunting for characters in their low teens for level and their older cousins the deepwaters can carry you all the way up to around 20th. If you’re savvy, you can also get a regular supply of them from the water, although your swimming skill must be pretty good to actually make it back to shore. There are also some neat items that can be found in this dungeon. Found a perfect spot for mobs of monster where it is easier for you to found them. There are items can be looted in this spot which can be a great profit to earn EverQuest Platinum.